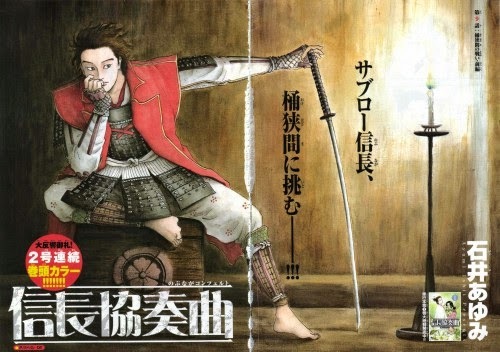 The June issue of Gessan (Monthly Shonen Sunday) magazine is announcing on Monday that Ayumi Ishii's historical manga Nobunaga Concerto is inspiring a television anime, a live-action television series, and a live-action film. Yuuki Kaji will voice Oda Nobunaga in the anime starting this July, while Shun Oguri (Lupin III, Captain Harlock, Detective Conan, Hana Yori Dango, Space Brothers) will play the warlord in the October live-action series and then the film. The television anime will premiere on Fuji TV this July.